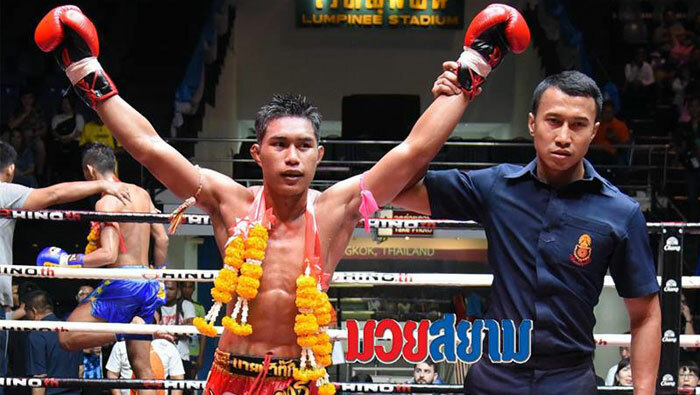 Jaroenrit Rawai Muay Thai vs. Promrob N. Nophirun, 5 April 2019. Jaroenrit returns to Lumpini Stadium. He has a hard fight against a more experienced boxer. He was behind after 3 rounds. Betting odds were against him 7 to 1 but he came out strong in the fourth round, taking his opponent down and won by decision. The hard work in the gym is paying off. The fight was very exciting. After three rounds, Jaroenrit was falling behind in the points. The odds were against him 7-1. But he came out strong in the fourth round and won the final round, taking the fight by decision. His opponent, Promrob, is more experienced and therefore gave Jaroenrit a 2 Lbs. advantage at the morning weigh-in. Jaroenrit was the underdog, but winning this fight has taken him to a new level. Promrob was the heavy favorite going into the fight, as he has more experience that Jaroenrit. You can see in the video below how much Promrob was upset after the fight, even crying. His team was quick to ask for a rematch. 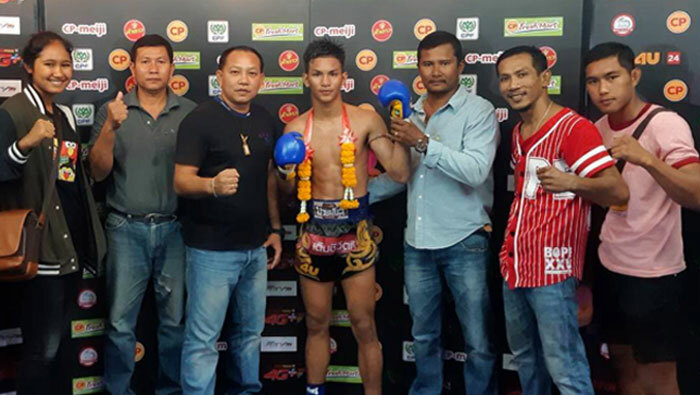 Tepwarit Rawai Muay Thai vs. Detchyutthakarn Jasaekorhong, April 5, 2019: Tepwarit wins his fight by decision. He was ahead after 3 rounds but was in danger of losing the fourth round. He managed to hold on in the last round to get the decision. Looks like all the running and training in the gym is finally paying off. After 1 year away doing the military service, he is getting back to his former level. You can watch the full fight below, and the after fight celebrations here. Both of these boxers are sponsored by Rawai Muay Thai in Khao Lak. If you would like to join them in the fighter training, please read here. If you would like to help sponsor a fighter please contact us.